The Boardr is located at 4611 North Hale Avenue in Tampa near the Bucs Stadium. We're 10 minutes from the airport and downtown Tampa. Our facilities include a retail store space, a warehouse with regularly updated skateboarding obstacles, and connected office spaces. We're open with our new location in Gainesville! Thanks to everyone that has stopped by so far. We'll have a real housewarming party soon. For now, check out a few photos. Once Kyle Berard poured and set it, we patiently waited while it cured and Casey lathered layer after layer of red. Finally, it's ready for trucks. HiDefJoe documented the build and what it costs and takes for you to do this yourself if you've got the space. I've also got a few sequences to cap it off. Casey and Ryan both said it best. A dream come true and this is where skateboarding has brought us? Damn! Today we made a big investment and continue to go all in on skateboarding with our purchase of The Boardr Bus. This rig will be at all your favorite skateboard shindigs that The Boardr runs, including The Boardr Am, adidas Skate Copa, and more. Casey will be the youngest RV driver ever. We are beyond hyped today. See you out there in 2015! 2014 was our first full year of being in business after we started this little skateboard gathering of a company in late 2013. HiDefJoe has the video recap and I've got a walk down short term memory lane here for 2014. What a year it was of whipping around the world for all these skateboard adventures from South Africa to Denmark to Canada to China to all over America. Thanks to everyone who was a part of it along the way. 2015 will be much of the same and more. See you around out there on the wood and wheels. Today a big ol' box of digital happiness just dropped on The Boardr Store doorstep. We've got some extra projects lined up for 2015 involving TV shows and other filming, so HiDefJoe got a 100% head to toe, lens to eyecup gear update. We'll soon be making announcements on the new stuff we're up to for next year. That MacBook isn't for Joe, though. It's for a new full time employee at The Boardr that's starting on December 1st who will be hitting the road with us to do all these skateboard shindigs. Guess who? We'll have an announcement on that soon, too. Clements barged it after discovering he didn't get the memo on the first session where we cooked it up for the crew that broke it in. Thanks for coming ya'll. Look for regular edits from the regular shred that will be going on at The Boardr Mini. The Boardr Mini-Ramp is Done: Skate For Free on Saturday! We're inviting you over for a Saturday session on our new mini-ramp at The Boardr Headquarters, 4611 North Hale Avenue in Tampa. While all that's going on, we've got the Southbound and Down shindig going on, too. Free PBR and more will be had along with some good times and ripping two wheeled transportation to scope. I hope to see you here. Check out a few construction photos. All the skaters you'll see in Dew Tour Brooklyn this weekend. In case you haven't see the social networks, Big Al is out here sending nails and screws into the planks building a new skateboard playground contraption for The Boardr TF. Maybe you'll be by for a session when we're done? We'll let you know. HiDefJoe has an edit from the first session and I've got a few construction photos from our first obstacle built in The Boardr TF. Thanks Jason Ranft for the manual labor. Zumiez also threw in on this one, so thanks to them for our first step towards an unempty warehouse. Now that we've got some time to stop and breathe from having one big event behind us (NYC) and another one just about complete (Vegas), we can finally start dedicating some attention to the homefront. Yep, it's another baby milestone for us here at The Boardr. Today starts construction on our TF! We're going slow and calculated as usual with this project, too. I don't know my physical construction tools very well, but I do know there are some things in this photo that indicate concrete. Damnnnn, it's on. Feels like we're finally getting furniture in an empty home. Right now all I have for you is this one single photo. Well, it sure isn't going to be any of us working here. We'll stick to the Business Team at The Boardr. For the real team, we're proud to announce our first pro. Check this press release out here: Skateboarding is in the 2016 Olympics, IOC Partners with The Boardr. Today is another mindblowing milestone for not just The Boardr, but for skateboarding itself. One small push for The Boardr Skateboarding Company, one giant ollie for skateboarding kind. HiDefJoe has the breaking news interview with Ryan Clements while The Boardr staff practices for Olympic gold! There's nothing to skate in here yet, so when the Shaqueefa crew stopped by The Boardr Store today, a flat ground and scraps session went down where HiDefJoe was there to point the lens. Thanks for stopping by, ya'll! Awww, it's our first video edit from the TF. Another baby milestone we stacked up here. 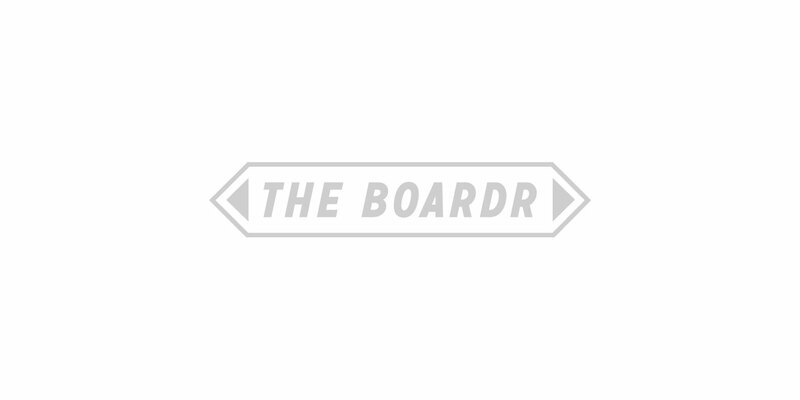 Welcome to The Boardr Staff! Retail might be dead as vert and slow as Nate Sherwood right now while we just get started, but the events side of things are stacking up nicely. You can't be running the documentation with one of my crappy cell phone edits. So what are we going to do about that? Clem has to crack the whip on Porpe to get it taken care of. The First Obstacle in The Boardr TF? We haven't started building anything for The Boardr TF yet, but Big Al and Sarge are here building a ramp bed for Southern Living Magazine. Kids have it so much better these days. All we ever had was a plain old flatground bed. For the past couple of weeks we set up our offices inside the empty store at The Boardr. Looks like we need a new place to conduct the behind-the-scenes business since our first displays arrived today. Here are some photos of the progress. We open on March 3rd. We've been working with Dakine on all these am contests we've been running for more than a decade now. From being in most of the prize packs to being on our backs while we travel, Dakine has been with us all around. It's a pleasure to have them in stock as our first bag company in The Boardr Store. There's so much going on here from events planning to systems work to physical buildout to financial stuff to skate park ideas that I can't even keep track of where I'm at and what I've documented. We're working smart and steady here still putting our 2014 together while I pause here for an update. Our tenants in the other half of our warehouse are now out so we can start figuring out what will work for our facility to play with our skateboards in. Inventory's in and stuff's online now. We ended our first weekend of being digitally open with a few orders for The Boardr T Shirt and some other random stuff. It was a memorable day for us. I'm just documenting it with a few quick snaps. This milestone seems like it has caused the work to just get started. Good thing it's mostly skateboarding work because that's a pretty good time. If your name was in that pile, thanks for the support. RIPNDIP is a clothing company started right in our backyard, next city over, Orlando, Florida. I remember years ago how their crew would show up super-deep at local Florida contests we were running. Next thing you know, the quality of their gear became top of the line and you started seeing them everywhere from The Berrics, to all over the streets of California. Congrats to our homies from the neighboring city for building an apparel brand proper. Right now I'm in the back of a truck with Clements and Porpe as we drive across the state of Florida for some meetings and a special private event we're assisting with in West Palm Beach. Our mobile internet is running and this is where I'm flipping the switch from. The Boardr Store is now live and our first tiny baby step into retail has started. I've got a few more construction photos and an exciting announcement. We have a toilet!!! An epic milestone at The Boardr Headquarters. It's just a week away before we flip the switch on our little online shop that could. As I've mentioned, we're starting out small and growing slow. A couple things happened this week that made it seem that much more real with all this skateboard bid'niss building we're doing around here. We got our first order of retail inventory in and our first online registration dollar hit the account. Everyone's on manual labor while I'm on digital labor. We're trying to get the basics set up for online retail doors opening up on February 1. I have a few more photos dumped from my camera here for you. Thanks for following along with our adventure to build something in skateboarding from the ground up. Before we can build the skate stuff, we have to get the bill paying stuff done. That would be retail and office space. I can't wait to get started back in retail and customer service again. We'll be open for online orders in just a few weeks! December 26, 2012: I'm starting this a few days prior to the end of the year last year. I was super happy with how 2012 went. We turned retail and margins around a few years prior and the health of the business was showing that, Justin Ryan's brand management in our shop was working great, SPoTlight Productions was killing it with worldwide events, the staff was hyped, and I proudly cheered to my partners (Clements, Schaefer, and Porpe) about how excited I was about 2013 coming to continue it all together. Before construction, there must be destruction. After closing on our building last week, we're making progress on The Boardr Headquarters as you can see in these photos by Justin Ryan. If scouring the internet for contest results, creating skater profiles for anyone not in our database, making sure sponsors are as current as possible, and general data janitorial duties like that sound like it might not be that bad of a job for you, see the post on our Facebook page here. Neal's part for Elephant Brand is filmed right in his office. That would be the vert ramp at Woodward. I bet all the kids at Woodward Digital Skate camp had something to do with those effects. Where was that camp when I was a kid? Ride Channel's Free Lunch feature had Ryan Clements as a guest a few years ago. Antwuan Dixon was a hot topic.